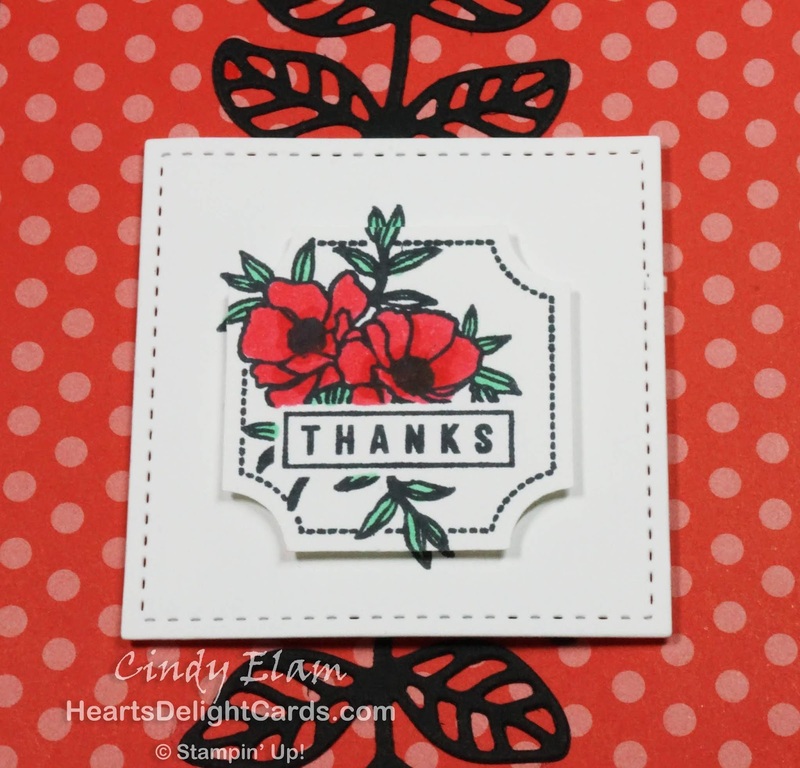 I got to play with the stamps and punch in the Darling Label Punch Box (pg. 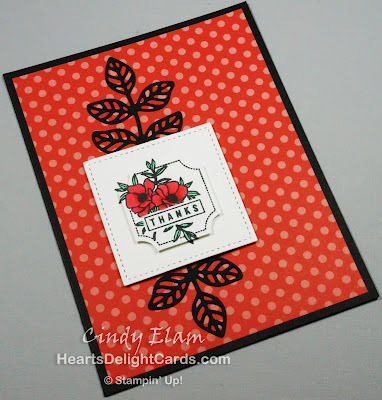 44 of the annual catalog) and was really impressed with how quickly a cute card could be made! 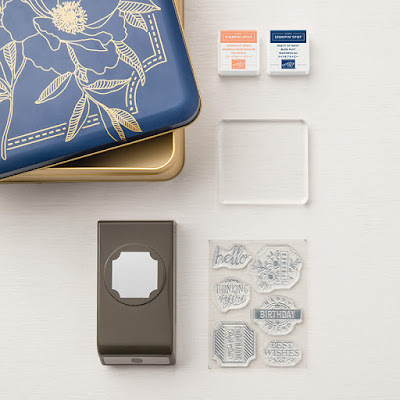 The tin that it comes in is 8" x 8" x 3" and includes the punch, the six piece stamp set, a clear stamp block, and two Stampin' Spots (Grapefruit Grove and Night of Navy). 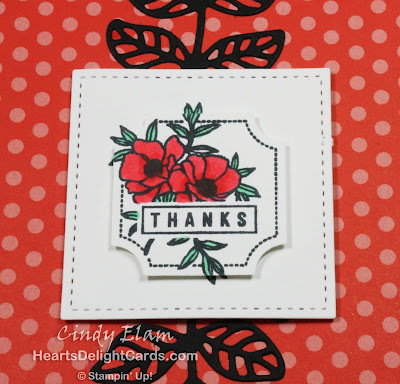 I chose the floral stamp because I could color it quickly with Stampin' Blends, but I noticed the punch would cut off some of the leaves. So, I stamped it twice, one for punching and one for a mat so the leaves would show. Problem solved! The second largest Stitched Shapes square was used to cut the mat, and a couple of leaves from the Flourish Thinlits completed the look. 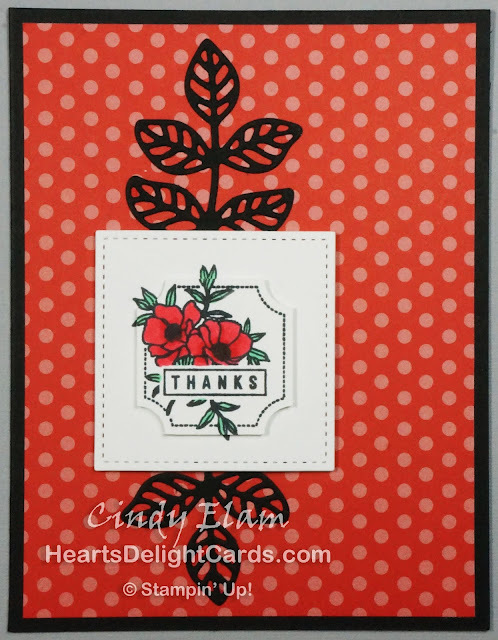 I think the black and white coordinate beautifully with the Poppy Parade DSP and flowers! Thank you, Sherry, for letting me play with your goodies!